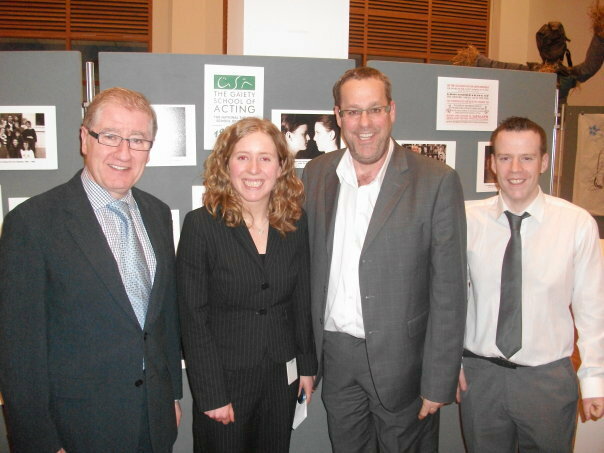 The Gaiety School of Acting donated its archive to the Irish Theatre Archive based at Dublin City Libraries and Archives. The collection of papers covers the administration, buildings, productions and students of the Gaiety School from its inception in 1985 by school founder Joe Dowling. The archive traces the creativity of its thousands of students over the years and is a unique research point in the study of theatre and education in Ireland. The following video was screened during the event to mark the handover of the Gaiety School archive to Dublin City Library and Archives last year. The video is a fantastic piece and was edited by former Gaiety School student Simon Stewart. The soundtrack is “The Racing Rats” by British band The Editors. Enjoy! !